After reviewing its list of Arizona builders, Isagenix International has chosen Simmons to remodel their 62,000+ sq ft headquarters in Chandler. Since 2002, Isagenix has been on the fast track in product manufacturing and health sciences, now with approximately $300 million in annual product sales. 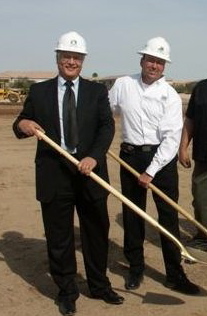 The project is underway starting April 1st, 2008 with Terry Christensen as the Sr. Project Manager and Simmons newcomer, Jeff Mortensen, as Project Superintendent. Jeff comes to Simmons with a long resume, most recently, from Hardison Downey where he served as their Tenent Improvement Specialist on some of the valley’s more notable projects. More information to come on this exciting win for Simmons. 2007 was a great year for the Company where we experience meaningful growth, in spite of the market slow-down. We’re grateful for the relationships with our clients, partners and subcontractors for making it a good year and wish everyone a happy 2008. Simmons Construction recently participated in the 2007 Southwest Idea Exchange held at the Phoenix Convention Center on March 14th - 15th, 2007 with the theme entitled, “Southwest Madness, The Ball Keeps Rolling”. This is was not only informative, but a great place to visit with our friends in the industry. Bell Mar Neighborhood Shopping Plaza Breaks Ground! On February 7th, we hosted a ceremony for the groundbreaking of the Bell Mar Neighborhood Shopping Plaza in honor of owner, Arizona Property Management, LLC, developer, Esterra Development, LLC and leasing brokerage, TAG Commercial. It’s a pleasure working with this triple thread team. Heading up the build of this project is Sr. Project Manager, Terry Christensen, along with Steve Buchanan as the Project Superintendent. At the official ground breaking, we had a great turnout from representatives of the City of Surprise, with the Economic Development, City Planning, as well as the Mayor’s office. This event, without a doubt, fuels the excitement with regard to the development of Surprise. A special thanks to Erin Zlomek of the Arizona Republic, who covered this project. Erin Zlomek The Arizona Republic, Feb. 9, 2007 12:00 AM - A noticeable complex of upscale shopping boutiques interlaced with white-tablecloth restaurants will go up at Surprise’s easternmost entry point by next year. “Three giant ship masts will adorn the complex, which is likely to be the first landmark people see when they enter the city,” said Bridget Zeuner representing Simmons Construction Co. who is building the project. Ground was broken Wednesday on the complex, Bell Mar Neighborhood Shopping Plaza, at Bell Road and Avenue of the Arts. The intersection marks the entrance to the city and sees about 60,000 vehicles per day. The plaza is expected to open in early 2008. “The goal is to bring a higher class of shopping to Surprise, a city that now hosts mostly big box retailers like Wal-Mart, Target and Kohl’s,” Zeuner said. Marketers are branding the plaza’s caliber of stores as ‘upscale casual.’ “The developers are working to attract Scottsdale-like boutiques, for the residents of Surprise, ” Zeuner said. A golfing pro shop, jewelry store, a café and bistro and specialty women’s clothing store are planned. A Los Padres Bank also will go in the plaza. The complex will occupy about 72,000 square feet in three buildings. About 15,000 square feet will house restaurants along the line of a Houston’s or P.F. Chang’s, said Gary Arnold, a developer representing TAG Commercial. Professional offices will encompass about 20,000 square feet of the project. The rest of the space will be retail. The project is in close proximity to the West Valley Art Museum and across the street from a mixed-use condo development. West Valley Art Museum director Connie Stover said the plaza is not likely to affect her museum in any way. Although she is not opposed to the plaza, she said she would rather have seen another cultural center go in that space. 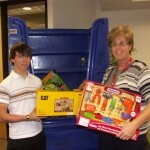 Todd’s son, Tanner Simmons, represented the Company by donating a truck load of toys to the Phoenix Children’s Hospital. This was an act that hit home since Tanner, with his career in Motorcross Racing, is no stranger to the PCH. On two occasions, as results of serious motorcycle accidents while racing, Tanner was treated at the Phoenix Children’s Hospital. Tanner was much happier seeing the hospital standing on two legs, rather than on a gurney! The Phoenix Children’s Hospital invites all to explore the many ways we can give to Phoenix Children’s Hospital, helping them to provide hope, healing and the best care to the children of Arizona. Simmons’ 10th Annual Holiday Party to Benefit the W. Steven Martin’s Police Toy Drive. We hosted our 10th Annual Holiday Party, honoring our employees, clients and long-time friends. The party was at the home of Todd Simmons and Kimberly Harkins. Todd’s son Tanner Simmons, with his buddies, provided golf cart rides to guests to and from their cars while Kimberly’s daughter, Kayla, drew the winner’s name for the charity raffle. 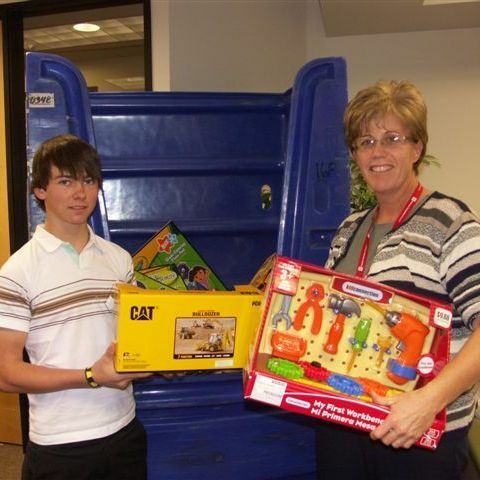 This year the donations, provided by the party guests, went to the W. Steven Martin’s Police Toy Drive. Simmons Construction joins Valley Partnership in helping the Boys and Girls Club of Metropolitan Phoenix. The Simmons team rolled up its sleeves to participate in the Valley Partnership’s 19th Annual Community Project, Benefitting the Boys and Girls Club of Metropolitan Phoenix. Action took place at the Herbert Kieckhefer Branch of the Boys and Girls Club of Metro Phoenix at 538 West Southern Avenue on November 4th, 2006. The project was completed on time and was very worthwhile! Caring, dependable role models can make a great difference in a young person’s life. See what you can do to make the difference to our community’s youth! Simmons Construction Company participated in the International Council of Shopping Centers’ Western Division Conference in Palm Springs, California. The event took place from 10.03.06 to 10.05.06. The floor was buzzing and the parties were plenty. This was a great way to hear about the trends in building and development in the Southwest. Simmons Construction Company has been chosen to build the Bell Mar Neighborhood Shopping Plaza, a 72,000 Sq Ft Shopping Center at 11310 West Bell Road in Surprise, Arizona. The project is scheduled to break ground in late January. Stay tuned for the updates!